For a quarter of a century, Cognizant Technology Services has seen some of the biggest epochal changes in the technological and regulatory environment and continued to stay relevant by being customer-centric. Despite the recent bumps (protectionist regime kicking in, due to which CTS stepped up its US headcount), under the watch of co-founder, CEO, Vice Chairman Francisco D’Souza, (he held the CEO role for the last 12 years), New Jersey-based consulting behemoth has seen tremendous growth in revenue and headcount, with the revenue increasing from $1.42 billion in 2006 to $16.1 billion in 2018 ‒ and the company’s global headcount shot up from 39,000 in 2006 to 282,000 in 2018. The recent shift towards restructuring also meant that CTS had to significantly increase its global staff count, which went from 2,900 to 50,400 in the US. Meanwhile, in Europe, the headcount rose by about 2,300. Not just that, as a proof that CTS doesn’t lack in double-digit growth, D’Souza led the company to a path of profitability — the firm grew from $2 billion in 2007 to $13.5 billion in 2017. D’Souza’s most important achievement, besides overtaking Indian IT bellwethers Infosys and Wipro in revenue has been transforming client business through emerging technologies — analytics AI and automation, opening up new business opportunities and driving new business models. Billed as one of the most successful CEOs, CTS led by D’Souza has consistently outperformed peers in terms of revenue and turned the software provider into the second-largest IT services companies in India. Now, their founder and CEO is headed towards another role as Chairman of the IT and Electronics Governors community at the World Economic Forum. D’Souza’s appointment was announced during an annual meeting in Davos, Switzerland in January. Well, this doesn’t come as a surprise since, for the last 12 years, D’Souza has fiercely held onto the leadership role, despite several talks about succession swirling around. Up until last year, speculations arose about CTS looking outside the firm for a potential successor to D’Souza. D’Souza will be succeeded by Brian Humphries, who is currently the CEO of Vodafone Business. In the last 24 years — the glue that held the consulting major thrive and grow, was the founder’s vision and his clear, goal-oriented strategy that helped the company transform and not lose out in the digital race dominated by digital natives like Netflix, Facebook and Amazon. In an interview to a leading financial daily in 2012, he summed up his vision succinctly, “Industry-leading growth is the outcome of two things: reinvesting in the business over a long period of time, and building capabilities relevant to the marketplace”. “The market is buying different services and capabilities than a few years ago. We have spent a long time building such capabilities. Clients are looking at us as partners. We’ve never focused solely on the scale,” he shared. The co-founder is also widely credited for making consulting and domain expertise a core part of the tech landscape. Under D’Souza’s leadership, CTS went beyond deep domain expertise to drive co-innovation which required them to work closely with clients and become a distributed organisation. Accelerating the shift to digital: Cognizant’s most pivotal transition was around 2015 when the tech world was grappling with the move towards digital and more importantly analytics and cloud. When the industry was going through buzzwords such as digital transformation, D’Souza grouped the company into three big practice areas — digital business, digital operations, digital systems and technology. Knowing fully well that businesses are increasingly looking for scale and agility, D’Souza pushed for reinventing the company through breakthrough technologies like AI and automation to open business opportunities and build new business models. To drive performance and scalability, he doubled down on agile DevOps to build a tech enterprise of the future. Building assets to drive new customer experiences: At a time when success stories were scripted by digital natives such as Netflix, Facebook, Amazon and Google, CTS managed to stay relevant among digital heavyweights by building expertise and assets with emerging technologies like AI, analytics, RPA, cybersecurity, automation and hybrid cloud to drive better customer experiences. 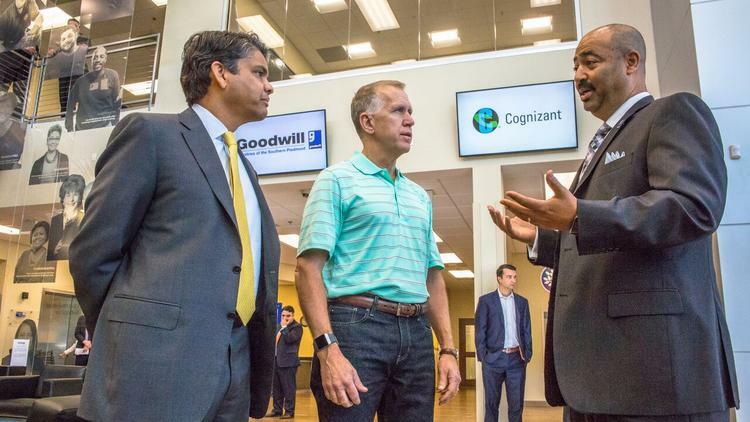 Making Cognizant a consulting major: The company has consistently worked to beef up its consulting practice by building digital capabilities that helped clients redesign their business models and capture new opportunities. In order to do so, CTS, under the leadership of D’Souza made strategic acquisitions and investments. Case in point was the $2.7 billion acquisition of US-based TriZetto platform which put the company ahead in the software pack. Over the years, CTS built considerable industry domain expertise which has become an important capability. Another key area was that CTS made RPA the bulwark of its digital operations. 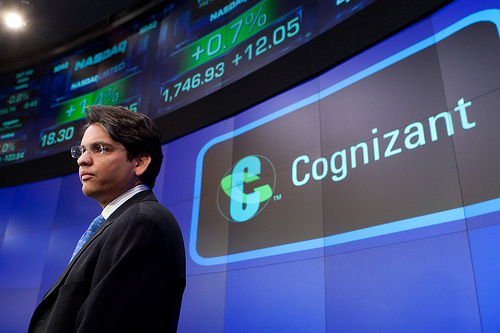 Expanding Operations & becoming a distributed organisation: Within Cognizant, the co-founder has held many roles, right from heading US operations to COO and his 12-year stint as CEO. At the heart of his stints was making CTS a global IT behemoth by delivering compelling industry solutions across geographies and verticals. Under the leadership of D’Souza, the company built solutions and technology architectures and successfully started operations across North American and European operations. Today, the company is servicing its longstanding clients across major domains — insurance, healthcare, financial services, manufacturing and other industries.